Join the production platform as used daily by a world-class team of artists and developers. Explore the production assets of the latest Blender Animation Studio short film. Learn speed sculpting in Blender 2.8 with Julien Kaspar. 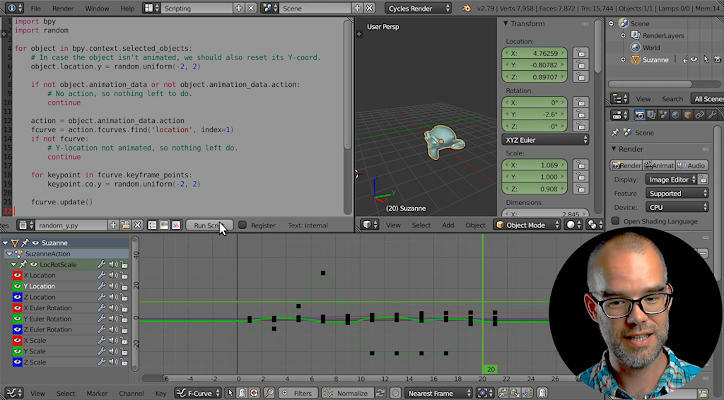 Become proficient with the latest Blender 2.8 Grease Pencil. Other training: Toon Character Workflow, Blender for 3D Printing, Game Asset Creation, Character Modeling, Character Animation, Introduction and Advanced Rigging, VFX Workflow, Creature and Cartoon Character creation, Advanced Digital Painting and much more! Learn from the pros, learn like a pro. Access high quality content, organized in classes, workshop and the art gallery, a curated artwork selection, where you can open a .blend file and see how it was made. Learn by example. Watch animation reviews, narrated timelapses, shot walk-throughs and more. Support open source software and open content creation. 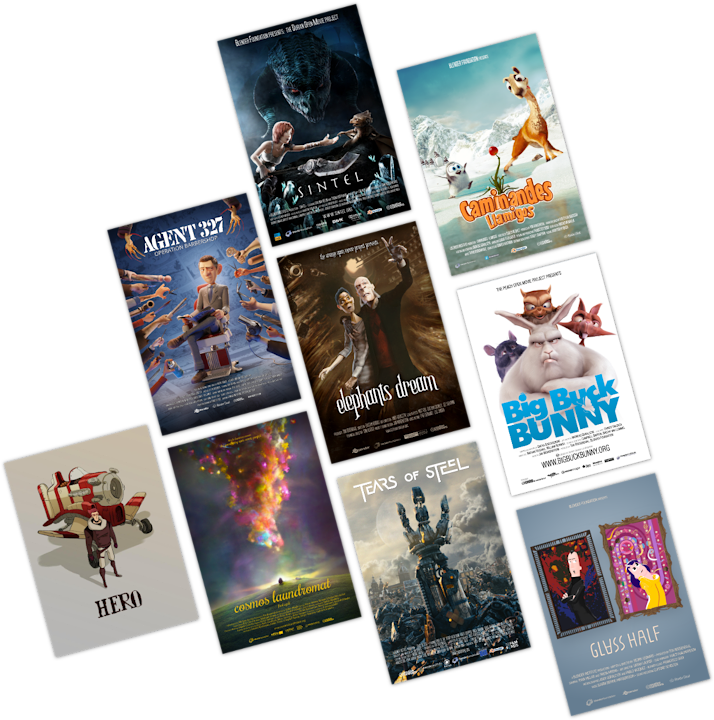 We have been creating outstanding shorts for over 10 years, from Big Buck Bunny to Sintel, Cosmos Laundromat and Agent 327. Help us to make more! Follow the adventures of Koro through the Patagonian pampas. Use our production pipeline for your own projects. 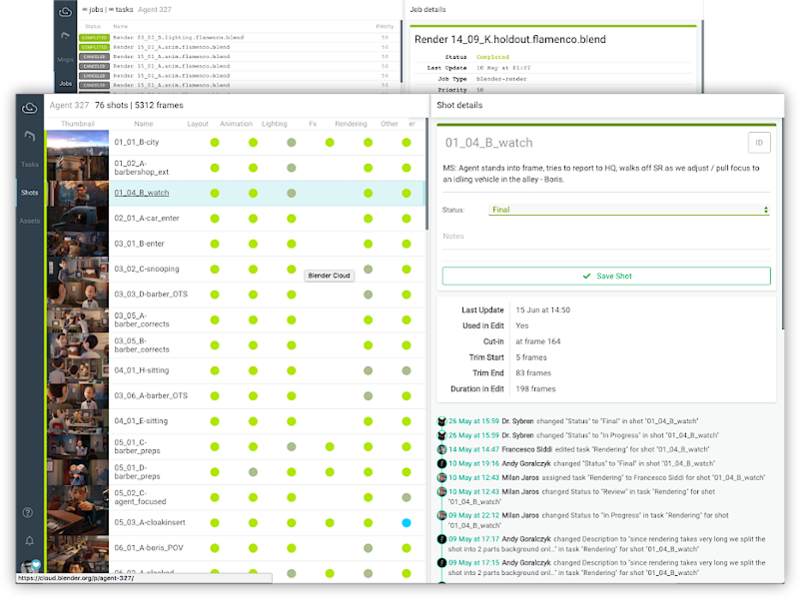 Featuring task tracking, render management and asset libraries. It's all free and open source software. Organizations support is also available! Up to 16K and 24 EVs (extremely high) HDR images to light your renders. More than 1500 texture maps. Browse online or from Blender with our add-on. Production quality, fully rigged and shaded characters ready to animate. Simple Pricing. Any payment method. We also provide flexible options for group subscription ideal for schools or teams. Get in touch to discuss direct support, custom solutions, team management tools, Single Sign-on and more. Support Blender, get inspiration, knowledge and tools in one place.